Wednesday December 21, 2016: Another heart warmer! Wednesday December 7, 2016: And our hearts were warmed on this cold night! Friday August 30, 2013: Still Going Strong! Hey all, long time no post, but yeah, we almost lost our housing. The friend whose house we're at sold it. We were in a panic for a bit there, thinking we would soon be without a roof over our heads, thinking we might have to close up shop, but good news! Another friend bought the house, and we can stay! We've got at least two more years of free housing, and we're still going strong, serving between 40 and 80 inmates each month! You may have noticed on the volunteer page, that we have just recently changed book packing night. We are now meeting on first and third Wednesdays at 7pm, so come on over and join in!!! Saturday May 11, 2013: Athens Books to Prisoners Receives Art Gish Memorial Peacemakers Award. Athens Books to Prisoners is an organization established in the summer of 2011 that sends books to prisoners in Ohio upon request free of charge. 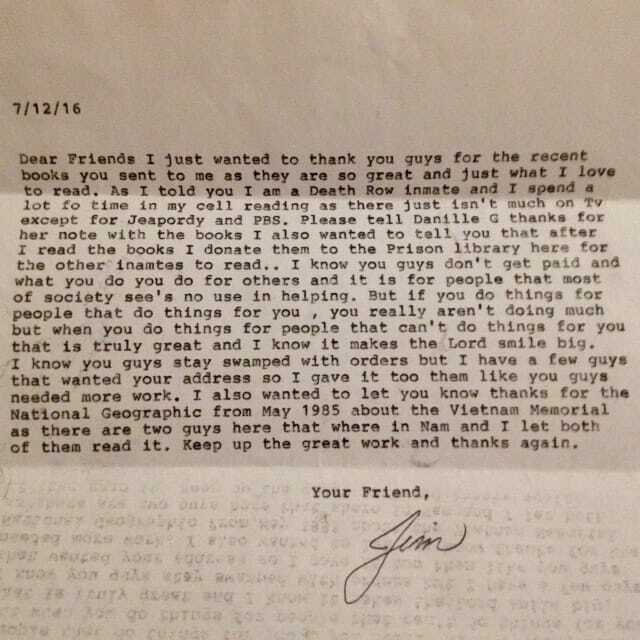 “Many of the requests we receive are from prisoners with little or no access to adequate prison libraries or educational programs. Athens Books to Prisoners is a community based direct action response to that problem. Everyone deserves access to education,” says Caty Crabb, one of the organizers of the program. According to their website, Athens Books to Prisoners acknowledges the devastating effects that prison has on poor communities, communities of color, and other targeted communities and hopes that, as a survival program, they can contribute to the resilience of these communities. 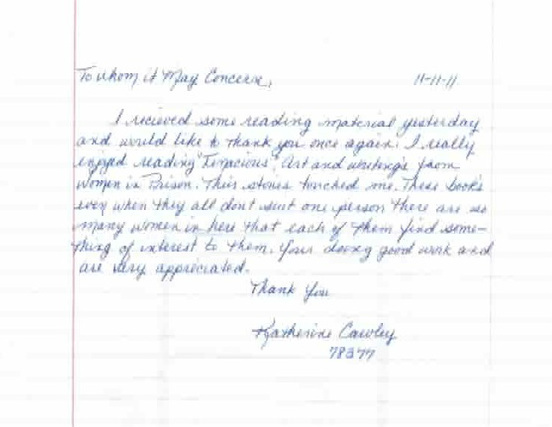 Athens Books to Prisoners is 100% volunteer operated and relies solely on community donations of books to fill orders. “We make a little money by selling some of the books on Amazon to cover postage, but we are always struggling to keep up,” says Crabb. The program has been hosting book packing sessions on first and third Thursdays for almost two years where they invite community members to join them at their location at 30 1st Street to read letters from incarcerated Ohioans, select books from their shelves, and pack the books to be mailed. “The program has really been picking up speed over the past six months,” says Sarah Fick, another organizer. “We've really been thrilled by the way that our community support has continued to grow. At times when we've run out of postage money, we've set up a table outside of the post office and asked community members to help by taking a package in to mail it. We weren't sure what sort of response to expect, but mostly we were praised emphatically by people from all walks of life. Preachers, business owners, school teachers, and international students all expressed sincere gratitude for what we were doing, and we were able to get a month's worth of packages mailed out within two hours!” The program has been able to serve approximately 70 Ohioans each month with 3-5 free books. “Our support has been ramping up due to collaboration with Campus Community Service. In addition to our normal donation boxes at Athens Book Center and on our porch, OU students have been running book donation drives and organizing students to attend book packing sessions, and it has been a huge help!” says Fick. In addition to these new developments, Athens Books to Prisoners has also recently been awarded a $500 grant through the Appalachian Peace and Justice Network from the Art Gish Memorial Peace Making Fund, that will allow them to resume their services to the women in the Marysville Prison. “We used to send packages to Marysville, but they kept tightening their restrictions. First they said they could only take new books, then they disallowed composition notebooks, which were the only new things we had. 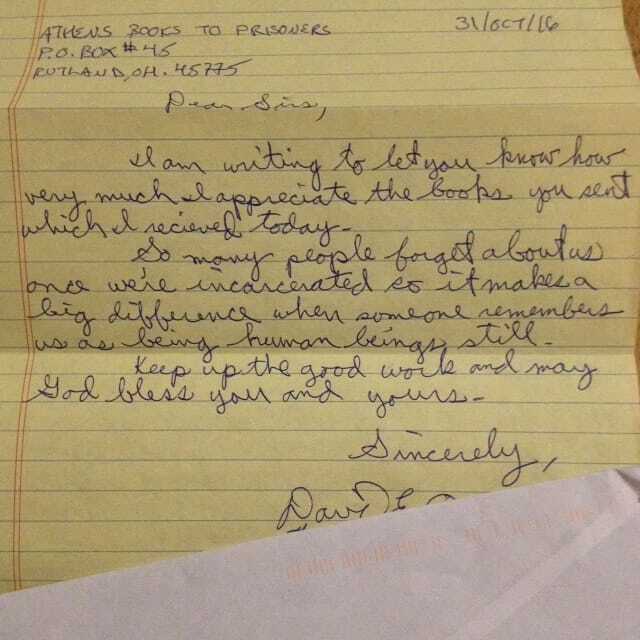 And more recently they stopped accepting packages from all of the Books to Prisoners projects across Ohio. The grant from the Peace Making Fund will allow us to purchase a box of new books to be donated to each of the eight small cottage libraries at the Marysville Prison, and we've been working with the women at Southeast Ohio Regional Jail in Nelsonville, many of whom will be headed to Marysville shortly, to come up with a list of most desirable books.” Athens Books to Prisoners is part of a network of independently organized projects across the country who are all doing the same work. They are the third project to open in Ohio, following Cleveland Books to Prisoners and Red Bird Prison Books in Columbus. Friday, January 25, 2013. Sorry no post for a long time. Hey all! Don't worry. We are still going strong. We've continued with our twice monthly book packing sessions, and are doing better financially now that Cindy has been selling excess college text books on Amazon to raise funds for postage. We've also had some help from new volunteers through OU's Athens Student Action Network recently, and we've experimented with sitting outside the post office when we run out of postage money. We just set up a table full of packages and ask people coming into the post office to grab a package, take it in with them, and mail it off. We got a couple of people yelling hate speech at us, but mostly we were overwhelmed by support from our community. We got a month's worth of packages sent out in about 2 hours! Also, the Appalachian Peace and Justice Network has signed on as our fiscal sponsor, so all donations are now tax deductible. And the paypal button on the Donate! page works now, so you can make a tax deductible donation any time!!! Sorry we don't get around to updating the website very often. For more frequent news, "like" us on Facebook at www.facebook.com/athensbookstoprisoners. Thursday, Febrary 23, 2012. 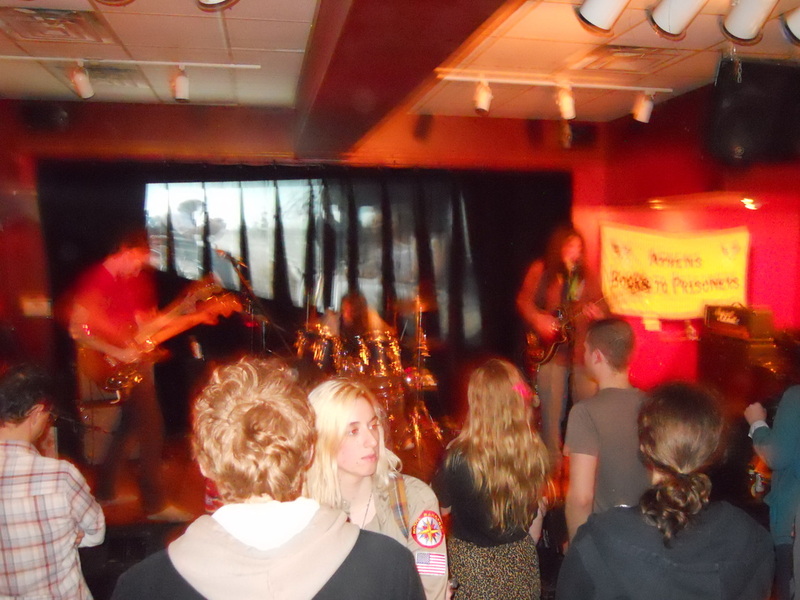 Our second Casa Benefit Show! Thanks to everyone who attended, and especially all the performers. We made about $350, making it possible to send out about another 115 book orders!!! We had our fifth book packing session last night. Twelve people showed up, and we were able to pack 35 orders! We took those packages to the post office this morning for a grand total of $78 in shipping. At that rate, we have enough money in the bank to make it through a couple more book packing sessions. Stay tuned for our next benefit show coming in January. And "like" us on Facebook for more up to date events reminders. Below is a small collection of some of our favorite thank you letter so far. I know they're hard to read, so I transcribed them below too. I received some reading material yesterday and would like to thank you once again. I really enjoyed reading "Tenacious; Art and Writings from Women in Prison." Their stories touched me. These books even when they all don't suit one person there are so many women in here that each of them find something of interest to them. Your doing good work and are very appreciated. Well first off, I like say THANKS for the books that you have sent to me. I received them a few weeks ago, and I just had to write just to give you AWARENESS of my APPRECIATION towards yourself & the organization. . . You're fulfilling a GREAT PURPOSE! And surely my HOPES & PRAYERS and Best Wishes goes out towards your HEALTH as well as much GROWTH & Prosperity within your Books 2 Prisoners Programs & Beyond. . . Peace & Respects. . .
Friday Nov. 4, 2011. "Local Men Shake Their Philanthropic Money-Makers" by Brooke Bunce of the Athens News. Donning stage names like "Dirty Business," "Christopher Throbbin," and "Frank the Tank," a number of Athens men took to Casa Cantina's stage Friday night to strut their stuff and show some skin – all in the name of charity. The All-Male Revue is an organization of local men who shed their clothes in public to raise money for groups that are normally hard-pressed for funds. 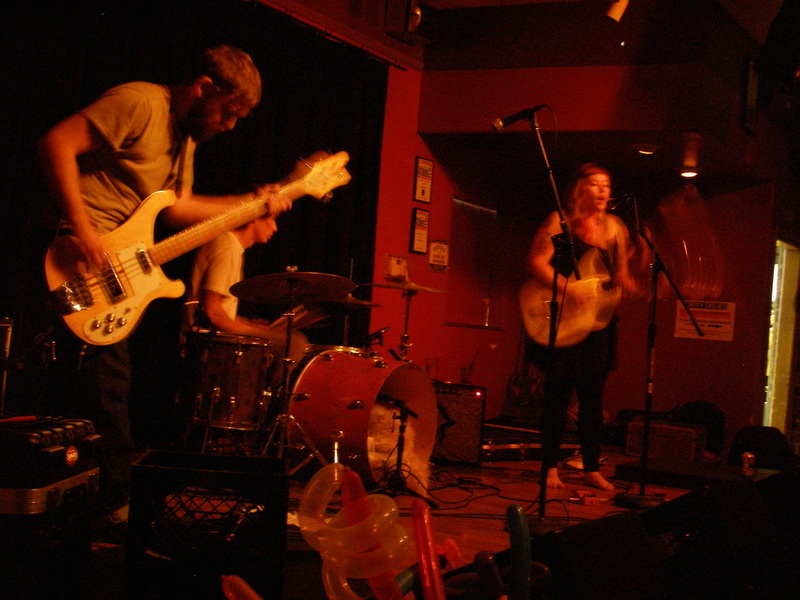 Friday's show raised between $500 and $600 for Athens Books to Prisoners, a group that provides reading material to prison inmates. 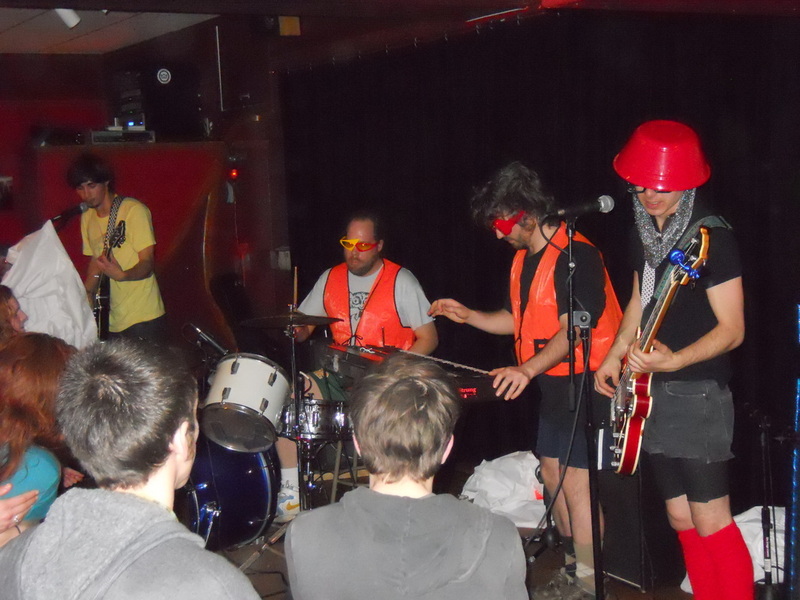 Past shows have benefited The Interactivist, a local magazine, and the West Side Food Co-op, which is still in its organizing stages. 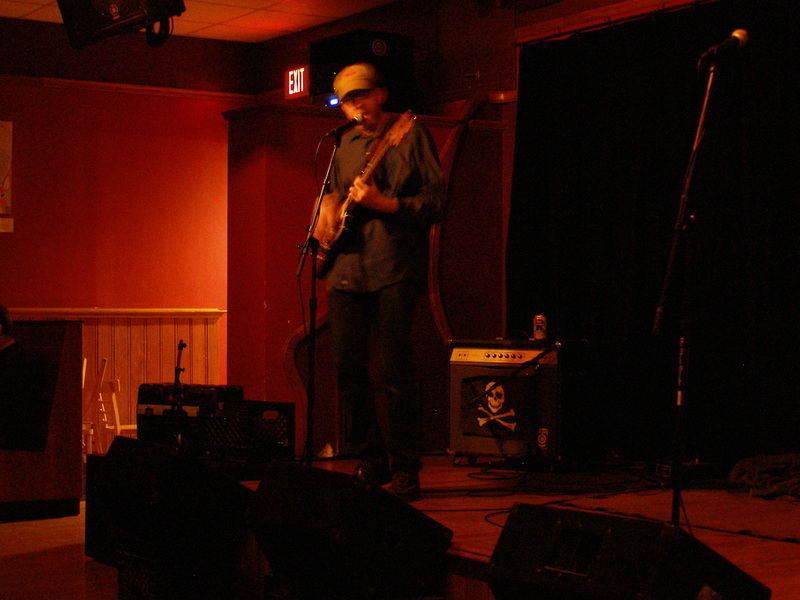 The Revue started as a way to raise funds for The Wire, a volunteer-run community resource center, said event organizer Nate Ebert. "We decided to bring an alternative approach to objectifying the body for money as opposed to the stereotypical sense of women being objectified to make money or sell something," Ebert said. "We really like to help fund small organizations that … generally have a hard time getting grants or local funding." 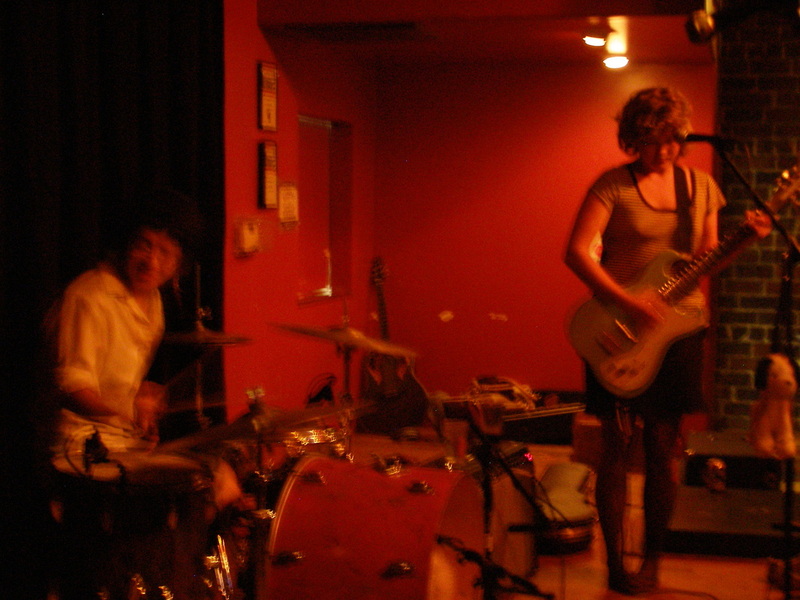 The night was kicked off by female musical duo The B Sides. Tessa Evanosky, one half of the group, is also an organizer for Athens Books to Prisoners. After the music concluded, the men took the stage one by one, donning ensembles created with the help of performance group Boxcar Burlesque. Thrift store apparel and "lots of sewing machine work and hot glue guns" contributed to the costume design, according to Ebert. Each dancer had his own themed outfit and song, ranging from a Wall Street business man, to a circus performer, to a group performance in the spirit of New Kids on the Block. Both new performers and veterans joined The All-Male Revue to peel off their clothing to an audience of males and females alike. The process the group uses to find men who willing to strip is somewhat informal. "It's usually just putting the word out; asking friends to ask their friends. We don't have tryouts or advertise ahead of time. It's mostly word of mouth," Ebert said. Athens Books to Prisoners is a newly formed organization that sends free books to prisoners in Ohio upon their request. The group is volunteer-run and hopes to provide a means of education and escape for those facing time in penitentiary. According to the group's website, "We believe that books have the power to decrease the isolation and dehumanization of the prison system, and stimulate individual growth and positive change. Many of the requests we receive are from prisoners with little or no access to adequate prison libraries or educational programs." All the funds raised at Friday night's event will go towards postage for the books, which can become very expensive, Ebert explained. In the end, Ebert felt that the night was a success and that many people in the crowd had a great experience. One of his favorite parts of The All-Male Revue is being able to express himself in a way that he normally wouldn't. "It's really fun to get creative to come up with pieces and costumes because that's not normally a part of my daily life," he said. "It's exciting to have an event that is really financial successful and that helps out a good cause." Ohio University sophomore Alexis Evans, who attended the event, had to agree. "It was not at all what I expected when a friend asked me to come" Evans admitted. "I was really surprised, but in a good way. I loved knowing that they were having fun taking off their clothes, but for the sake of charity." Thursday Oct. 6, 2011. 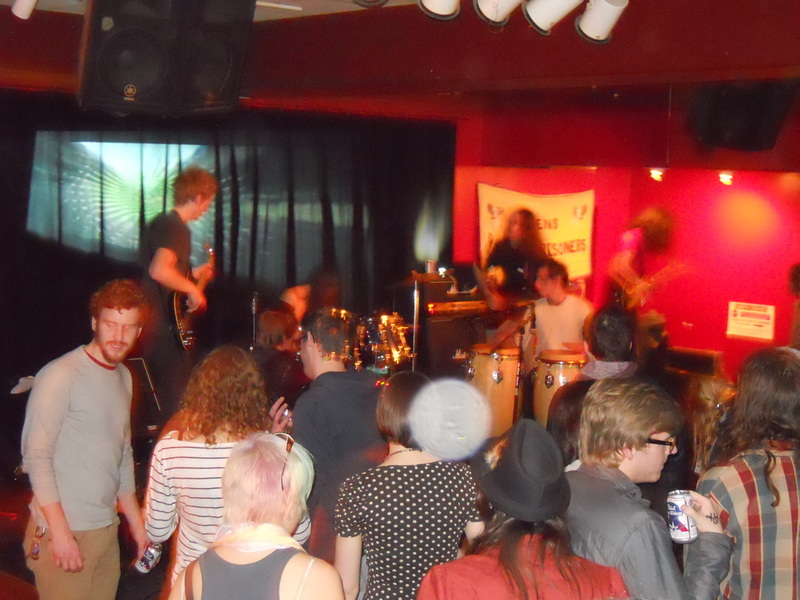 Our first benefit Show! Thanks to all the musicians who played and all the attendees who donated! We made our first $200, making it possible to mail out about 50 book orders to prisoners across Ohio!